ATTENTION EVERYONE THE MOMENT IS ALMOST HERE!! 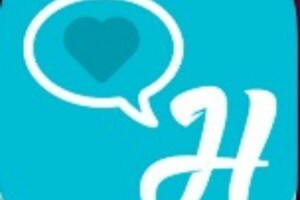 HUHGS is an application that will spread virtual hugs across the globe with the intent on making a positive difference in peoples lives and the world we live in. HUHGS was designed so that users send the pre-written HUHGS Messages anonymously to anyone with the HUHGS app. HUHGS is an application that is truly meant for users of all ages, regardless of gender, nationality, religious or cultural background . The benefits of using HUHGS will be knowing that you are helping create a chain of happiness by sharing anonymous messages of kindness to hopefully reach and remind the millions of kids and adults they are not alone and someone cares. Enhancing the application with new features based on user experience input and innovation to improve the user experience. Enhancements will include links / aids for peer support (anti-bullying, help agencies, etc. ), additional languages, new message types, etc. The application runs real-time with high availability to ensure messages are sent and received as quickly as possible. Thank you helping rid the world of bullying and harassment with HUHGS App!